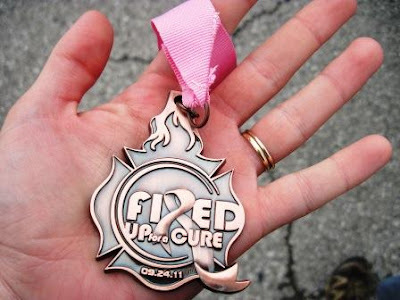 Last weekend I ran the Fired Up for a Cure 10K which was so much more than just a race. They had many booths set up and wonderful events for kids like face painting and jump houses. All to raise money to find a cure for breast cancer. What a great cause! And they had firetrucks! 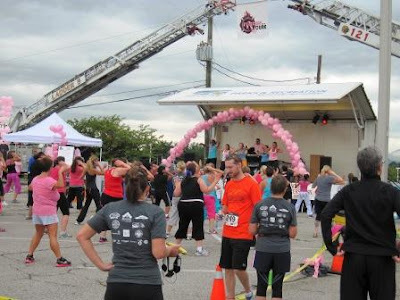 The race was put on by the fire department, so there were firetrucks everywhere - even a pink one! 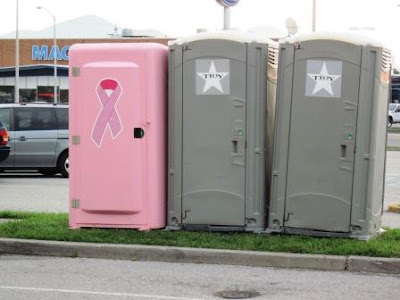 If your portajohn is pink, does it lower the gross factor? The race did start about 15 minutes late. It was their first year, so sometimes these things happen. But I do like it when races start on time. 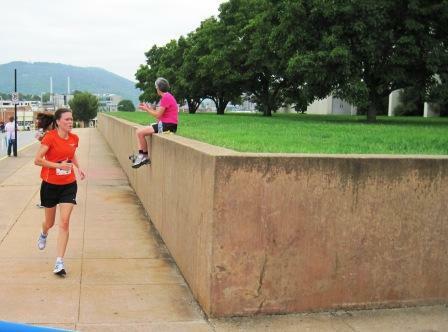 The start and finish were at the Roanoke Civic Center. During the first part of the race, there was a lot of support along the course. But the back half didn't have quite as much - there was one turn that was unmarked and unmanned, and had I not seen the runner in front of me take the turn, I wouldn't have known where to go. One water table was also unmanned and the cups were still in wrappers with no water. Needless to say, no one was stopping at that water stop. I never stop to drink water in races under 10 miles (unless it's super hot) so this didn't bother me. There were a few hills along the course, but nothing too rough. I got a side stitch the second half of the race. I haven't had such a bad side stitch during a race since 2003. It threw me off my game a little, but at least I didn't have to stop and walk. There was one hill around the halfway mark (there were no mile markers, so I can't give you exact location) where you crested to see a stunning view of downtown Roanoke and the surrounding mountains. That was probably my favorite part of the race. The finish of the race was along the outskirts of the Civic Center, and then you had to bound up a small flight of stairs to cross the finish line. I finished in 53:25, and would have liked a faster time. I have since heard that according to several other runners' Garmins, the course was significantly long. My friend Steve plugged in the actual race distance with my time, and said I would've run a 52:01 if it had been an actual 10K. I can have some happiness over this time, as it would be a decent improvement over my 10K time in August, and would show that all the hard work at the track is starting to pay off. So let's hope Steve is right on that! I found the boys happy as could be. 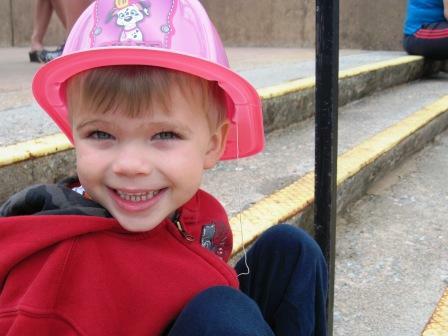 Pierce was sporting a pink fireman hat. 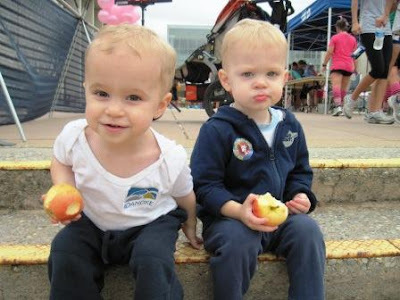 And the twins were enjoying apples. We walked over to where the awards ceremony was to be held, and found they were having a Zumba class. If you've been reading this blog for a while, you know I avoid dancing situations. But we had fun watching, and the twins really liked the music and ran in circles to it. I placed 3rd in my age group. They had very nice medals! We finished the morning with climbing on the helicopter. How cool is that?! It was a really fun event. I would definitely run this race again - I hope they hold it next year. I love your medal! The boys are so cute. I love getting to see them. It sounds like an interesting race. I hope someone remembers to open the cups at the next one. Congratulations! I think you did a fantastic job! Looks like the boys had a great time too. Finish UP steps? Sounds dangerous. So cool that you came in 3rd! You rock! I love all the pink they included in the event, and I'm glad the kids had lots to do while you were off running the race. Wonderful event! 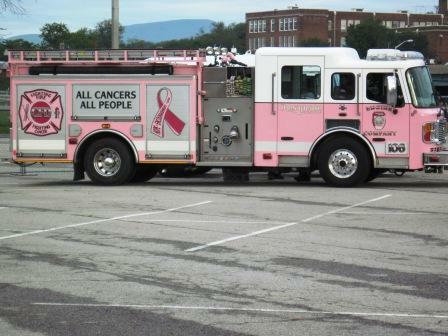 What a great cause that race is... Love the pick fire truck. To answer your question, If your portajohn is pink, does it lower the gross factor? No.. most of the porta potties I have been in smell horrible and I avoid them if at all possible. I always feel like I need a bath after being in one and most of them have no way to wash my hands. I am a fanatic about washing my hands.... hate touching things like doors leading to a bathroom. so nice that you thought of leontien. you go, girl!!! What a great cause to run for sweetie and congratulations for placin' third. That's quite the feat...side stitch and all! Woohoo!!! How fun! I love fall races! What a cool event! 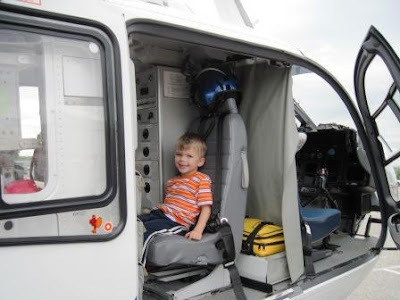 It looks like it was managed VERY well--and WAY TO GO! That's a phenomenal run time! Congrats! That is a nice looking medal...you are awesome girl! The boys seem to be having fun. What a great cause. Thank you for your participation! Hugs! A great post!!!!! Did you place in the race, the time was wonderful! 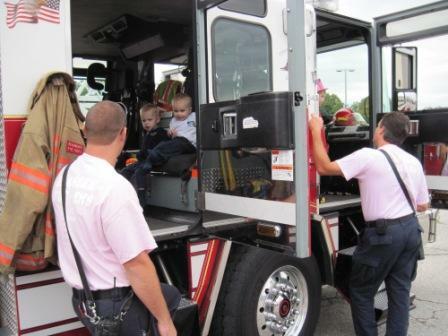 Love the pink porta-potty and fire trunk! That is a good shot of you running! I wonder if there will ever be a cure for cancer...I have been helping my best friend, whose ovarian cancer is back for the second time; doing chemo again.. Phil had cancer, my mom had two kinds of cancer and died from one. Thanks so much for the race and your participation!!!!! Congrats! Such a great medal & great cause! Thanks for stopping by my blog and commenting on my Savannah photos! I'm in awe of your running. I'm a walker with bad feet and knees, still trying to get up to 4 miles. Your boys are seriously cute! That's a great time! Good job finishing 3rd in your class!! Good for you on entering and running in this race! I am a horrible runner... in fact, I don't like running at all! I totally LOVE the pink fire truck and port-a-potty! Glad the boys had a good time and congrats on the medal... it is a nice one! Hi Lisa, What a great cause. I'm so glad you participated... and your kids had fun also --which is good. As you know, I lost one of my best friends in July to breast cancer... SO---you were running in her memory also!!!! 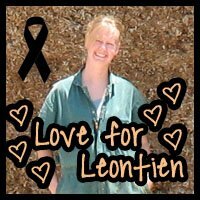 Thanks for mentioning Leontien. She is such a sweetie... I pray for her. What a wonderful race to do! And your medal is very cool! When I was younger I used to love going to the race after-parties with my family. THAT IS A SUPER TIME! I am amazed at how you run. The medal is neat and the boys are so cute! Way to go! This is amazing! I'm so glad you shared this with us. I love the pics, and as always am inspired by your ability to move as you do! Great job! I admire you for walking - running- do it all. People like you make a big difference in helping. And the boys such cuties.